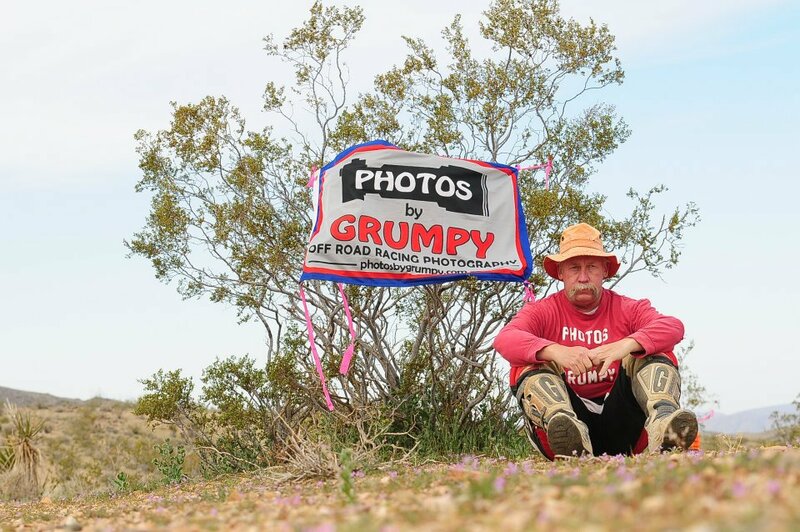 My name is Bryan "Grumpy" Clark and I have been involved with motorcycles and photography pretty much all my life. The nickname Grumpy came when I worked in construction. One day some guys on my work crew played a little joke and wrote "Grumpy" on my hard-hat when I was taking a nap during lunch, it stuck ever since. It just seemed to fit. I have been riding motorcycles since I was 8 years old. Riding the mini bike around the yard and then eventually being able to cruise around camp in the desert with the whole family. Eventually I started racing DRA (Desert Racing assoc.) events, enduros and the District 37 desert races. My real beginning was in the early 1970’s riding in the old "Hook & Ladder Enduro” on a DKW 125. While going to the races through the 70’s I always had a camera with me a Brownie 110mm which I used to shoot all kinds of photos. Being too young to go on the big rides I spent my time shooting photos around camp and of my friends and I doing jumps we would find near camp. One day my father gave me his old Yashica 35mm camera which I used until it was wore out. In the mid 1980’s an unforeseen turn of events stopped my so called-racing career and I took up photography full time. With selling the photos to the racers and also getting published from time to time it worked into Photos by Grumpy the full-time business it is now. I love taking photos of you, the off road racers so you can have some sort of remembrance of your races. It's the coolest thing to watch all the racers riding out in the middle of nowhere. The coolest part about it is that I get to capture that for you on film so you might be able to share it with your family and friends.